Memorial Day weekend marked the beginning of wedding season, which typically lasts through September (and sometimes into the fall). Rustic style is a versatile and universally appealing way to theme your bridal decoration and prop planning, and will help give your wedding day a cohesive aesthetic while still looking warm, welcoming and organic. This broad style will also compliment a wide range of venues from winery to country to beach weddings. Rustic style often incorporates natural and organic materials such as wood, reclaimed lumber and bamboo and offers a cozy, earthy, and warm appeal to your ambiance. Rustic style isn’t just applied to decor and venue either — you can imbue your bridal look with rustic charm by adding floral accessories or vintage-inspired jewelry. Here are 9 ideas to get you started. 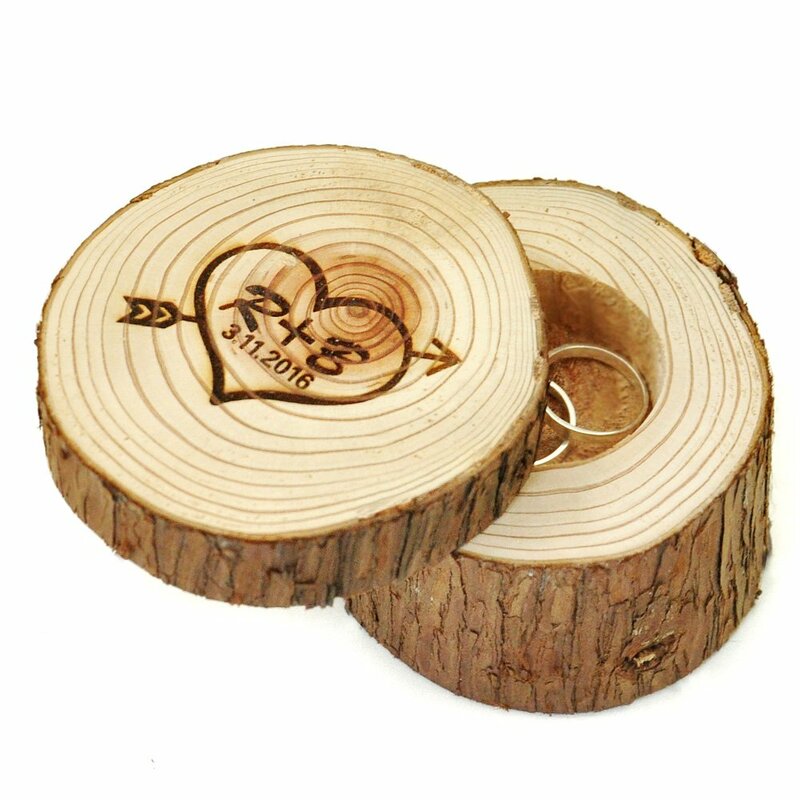 This charming wooden ring box will add a touch of personality to rustic-themed wedding decor. Best of all, this ring box allows for customization so you and your hubby-to-be will have a lasting and personalized keepsake that you’ll cherish forever when you look back on the special day. For brides opting for a less fussy look, hair pieces can be a great alternative to wearing a tradition veil. 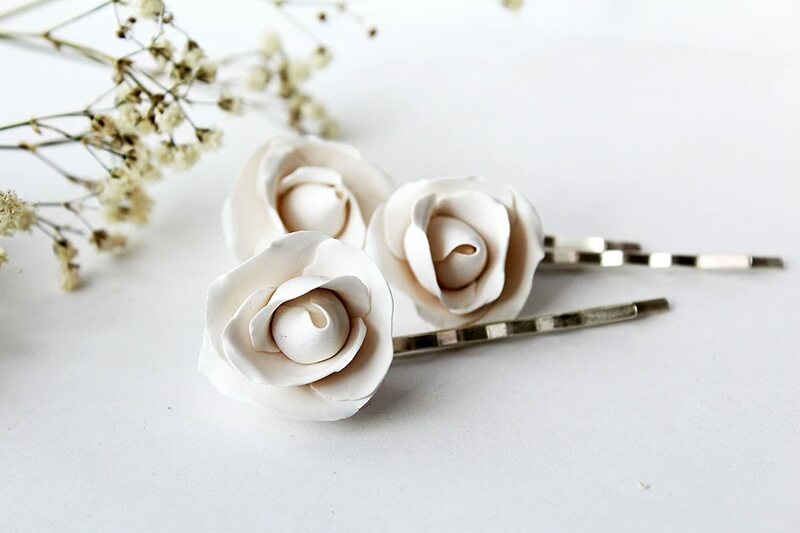 These sweet rose hair pins will compliment a wide range of hairstyles for your wedding day ensemble, adding just a hint of flair without looking busy or distracting. Bohemian brides will adore this subtle headband, composed of iridescent ribbons accented by Swarovski crystal embellishing. Each handmade piece is mounted on a flexible steel band to ensure optimum comfort from the ceremony to the reception. 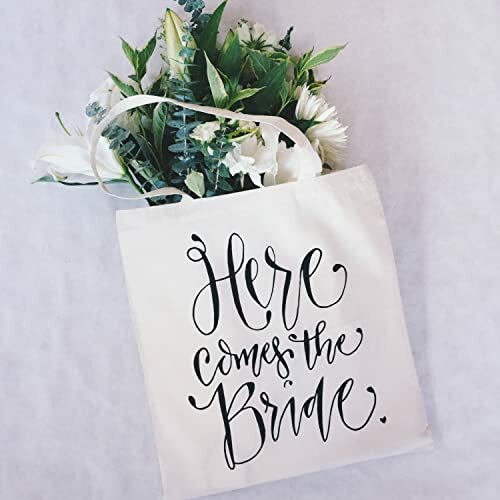 This charming 100% cotton canvas tote bag would make a wonderful bridal gift bag for your guests. Each bag features customized wording, hand-drawn by the artist in water-based ink. Wood is an essential component for rustic-themed and outdoor weddings. 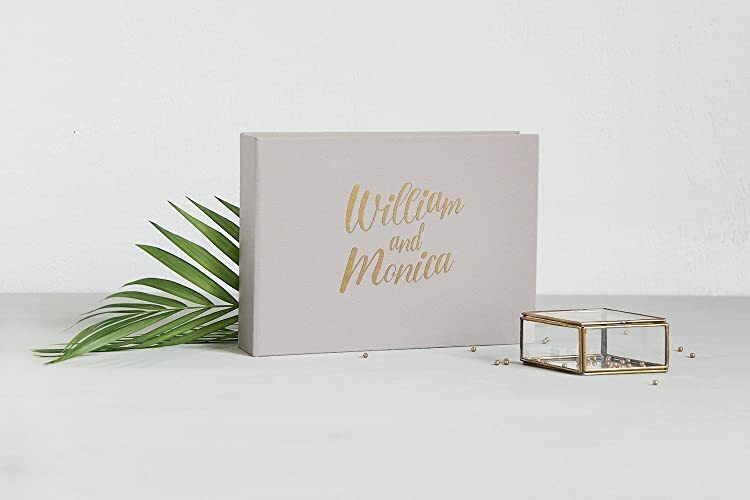 This wedding card box adds an organic look to your entryway, allowing your guests to leave you and your special someone a note, wedding advice, or a love letter during the reception. 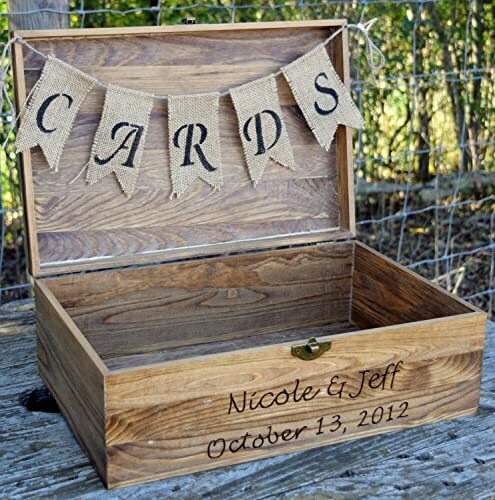 Customize your box with carved initials and the wedding date for a momento that you’ll keep forever. If you want to add a bit of sparkle to your wedding day look while still maintaining the un-fussy, rustic sensibility, this delicate crystal headband is an absolute must-have. The subtle crystals will leave you feeling like a princess as you walk down the aisle without looking overdone or clashing with an outdoorsy ambiance. Polaroid photos are a natural option for rustic wedding photography thanks to their retro sensibility. This handmade photo album comes in just the right size to fit your collection of Polaroids from your reception, organizing your special memories with friends, families and your significant other in one lovely book. Each album can be customized to display the wording of your choice. This adorable wedding decor set checks off all of the rustic wedding decor elements on your checklist: burlap, mason jars, white flowers and an artisinal aesthetic. 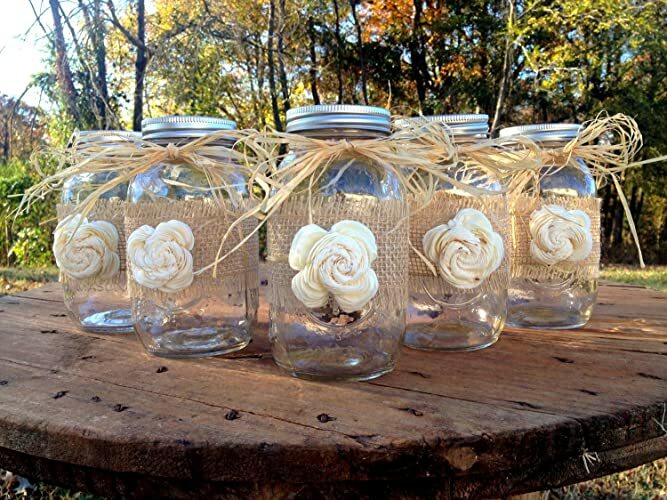 These mason jars also make a great candle holder or wedding gifts for your guests. 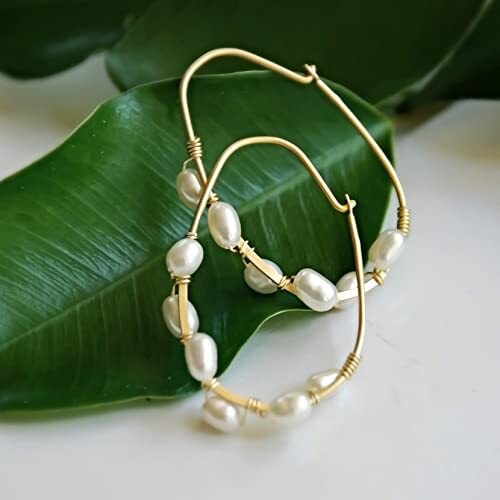 If you don’t want to go overboard with jewelry for your wedding day look, adding subtle pearl earrings with a gold hoop can add just the right touch of personality. These handcrafted earrings will look especially beautiful with up-dos and a simple wedding dress. Want more suggestions for an unforgettable rustic wedding? Topshop just launched a Bridal Collection and we rounded up the best pieces.